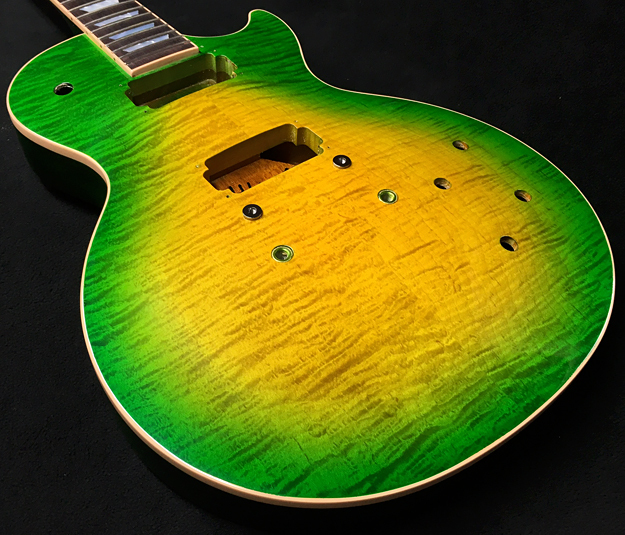 Originally was a solid Amber top. 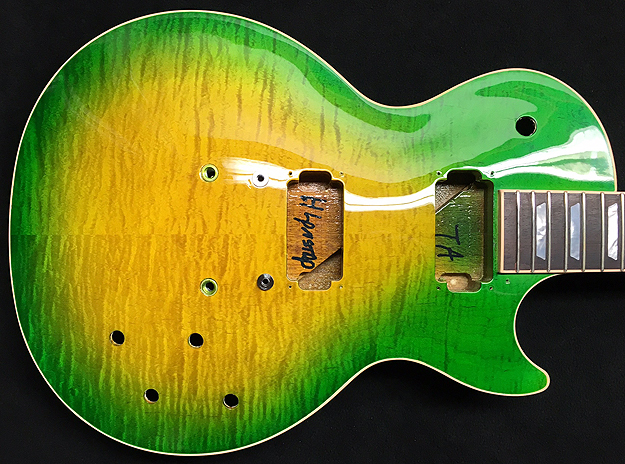 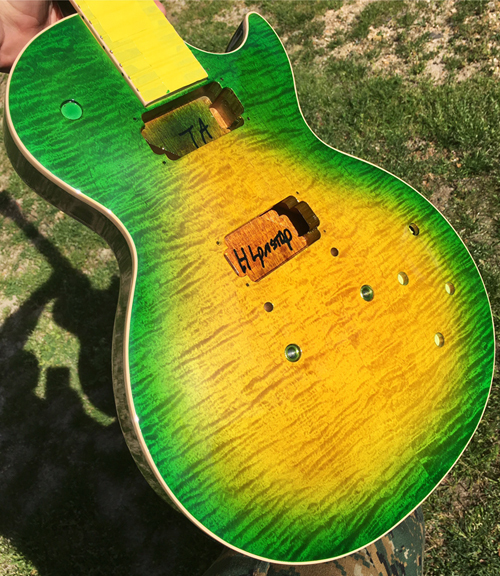 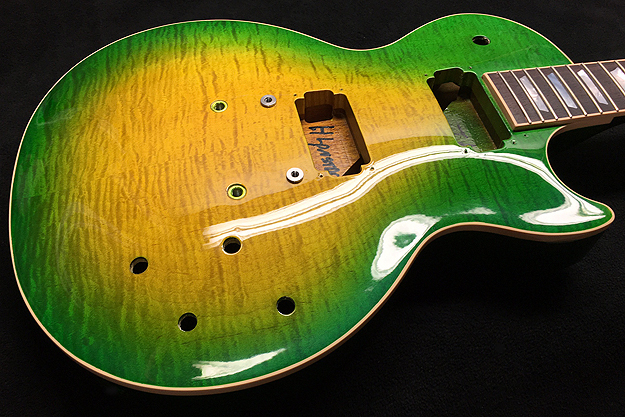 We stripped the guitar, stained the top lemon yellow, did a green burst & re-clear coated it. 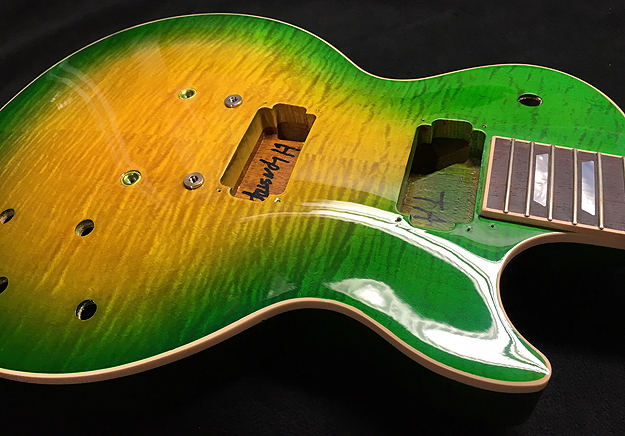 Guitar has a transparent green back & neck as well.